I love reading Quora. I wish I had more time to do that! One thing stroke me in a reply to a recent post. 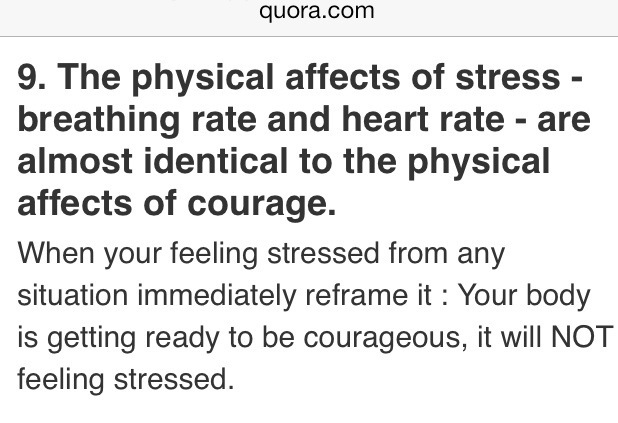 One way to view stress is reframe it as courage. Nice life hack that I will no doubt use next time I feel under stress! Stay happy, nomads! This entry was posted in quotes and tagged brave, courage, happiness, nomad, quora, stress, universe. Bookmark the permalink.